Many kids, whether they're on the autism spectrum or not, like to create their own worlds and their own stories. Leo's sister Mali's favorite app for total creative and instant animated storytelling is PuppetPals, a free app she uses on our iPad. 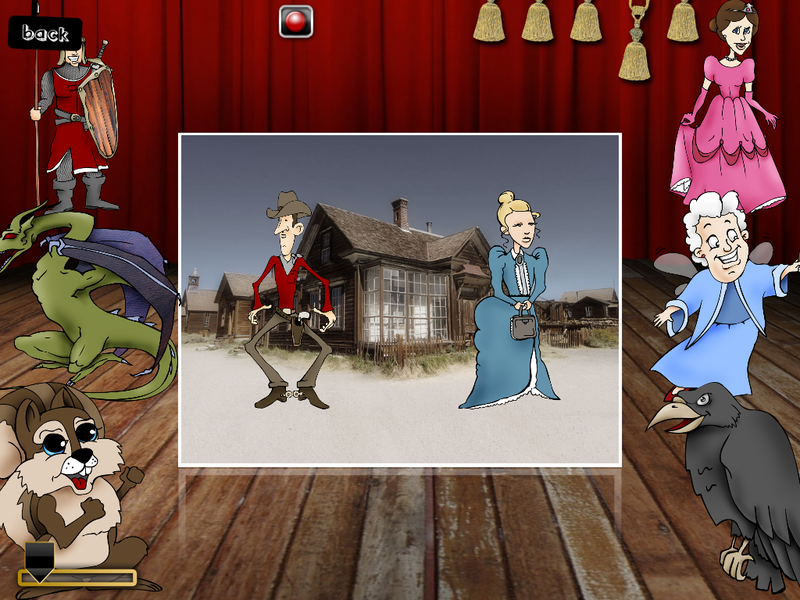 The characters then appear around a "stage," which is a smaller window within the main iPad window. They can then press record, and drag the characters onstage to "act" in real time while the user provoides voiceover, and the non-active characters remain "offstage" until summoned. Backdrops can be changed in a flash by clicking the bell cords over the stage. 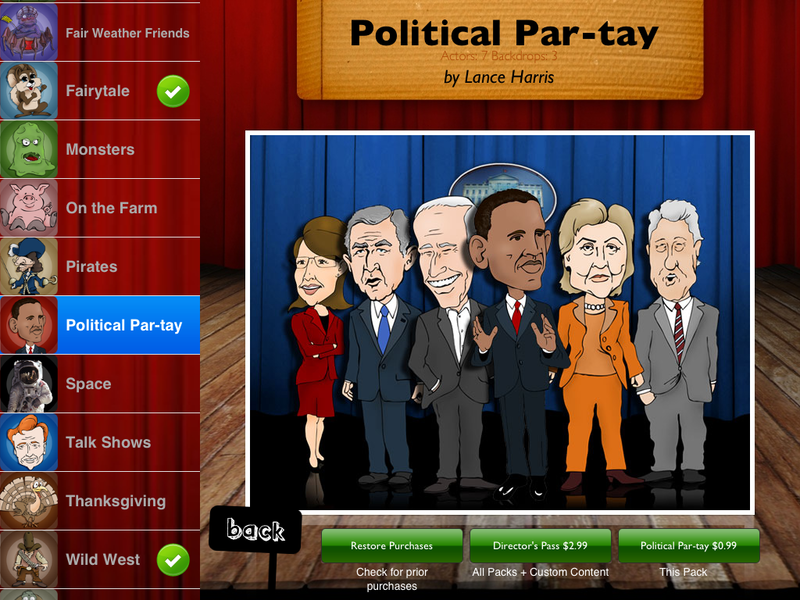 Your child can even create and import your own characters and backdrops! Mali has created more than 20 of her own movies so far, and frankly I'm surprised she hasn't created more -- probably because she's a bit of a perfectionist and only saves the "good" ones. But if you or your child love storytelling, drama, acting -- especially with a simulated animation component -- PuppetPals is a solid choice. Looks like lots of fun!